Luckily, Audrey had a recipe on her blog that was promisingly called Who Knew Homemade Bagels Were This Easy To Make? That was just what I was hoping to hear! In truth these were a time investment – like any yeast bread – but not nearly as intimidating as I was imagining. The whole family loved them! If you’re interested in seeing how she colored them pink (naturally! ), pop over and check it out. They’re adorable, and perfect for Valentine’s Day! You can also find That Recipe on Facebook, Pinterest, Instagram and Twitter. Want to see all the other #FoodBloggerLove being posted today? Check out the link party below! Optional toppings: sesame seeds, poppy seeds, dehydrated onions, etc. To a small bowl, add the warm water. Sprinkle the sugar and yeast on top and let sit for 5 minutes. When the yeast is foamy, stir in the malted milk powder. In a large bowl, whisk together 5 cups of flour and salt. Add in the liquid and mix until combined. Add flour until it comes together enough that you can knead it. Knead, either by hand or using a stand mixer, for 5-10 minutes, until the dough is smooth. Place in a greased bowl, cover with plastic wrap, and let rise in a warm place for 2 hours – until doubled in size. In a stockpot, bring the water bath ingredients to a boil. Turn the dough out onto a clean surface and punch down. Divide the dough into 16 equal balls. Poke a hole through each ball and spin it a bit to create a bagel shape. Add the bagels to the boiling water in batches, boiling for 30 seconds, flipping, and boiling for 30 seconds more. Remove to a lined baking sheet with a slotted spoon. Brush each bagel with the egg white wash. Sprinkle with toppings, if desired. These look great! 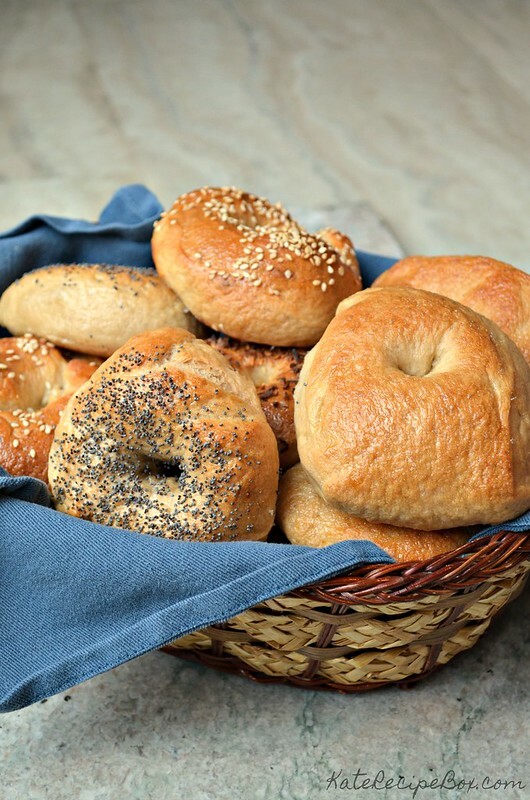 Homemade bagels are something I haven’t attempted yet, but would like to soon. 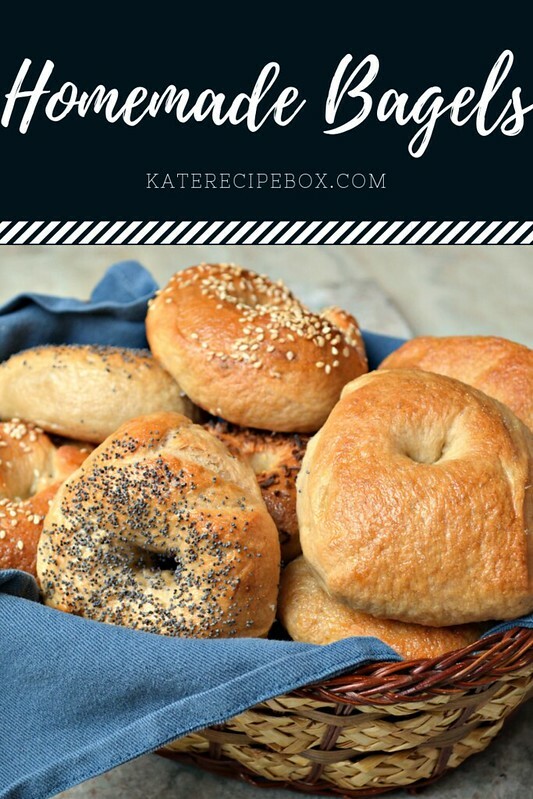 I haven’t tried making bagels either, but I’m feeling inspired to give it a go! They look really good!! I am glad they turned out so well for you. Non-bread makers tend to get intimidated by yeast breads rising time thinking it is difficult or complicated. But it is just waiting and letting the yeast do the work.